Despite sleep being near the top of your to-do list, a lot of babies need a surprising amount of help to settle. Most new mummas quickly lose count of the hours spent shushing their bubs to sleep. But once they’re off to the sweet land of nod and you sneak out of the room like a ninja, it’s hard to resist the urge to pop back in and check they’re still ok. 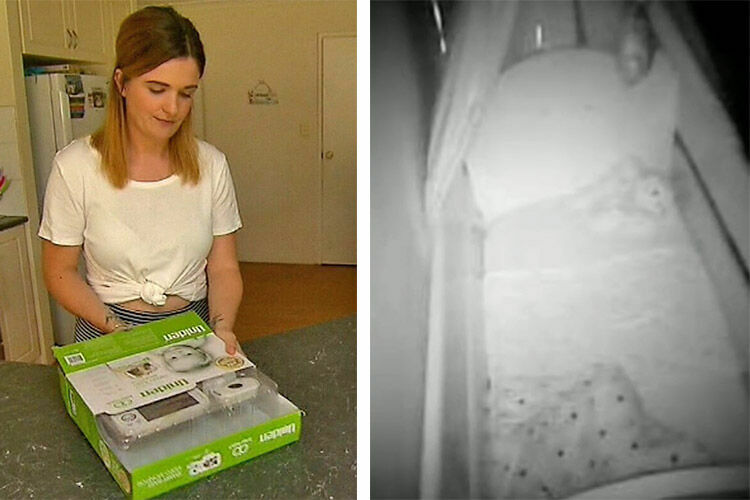 But when you open that door, you risk the unthinkable – waking a sleeping baby. Noooo! 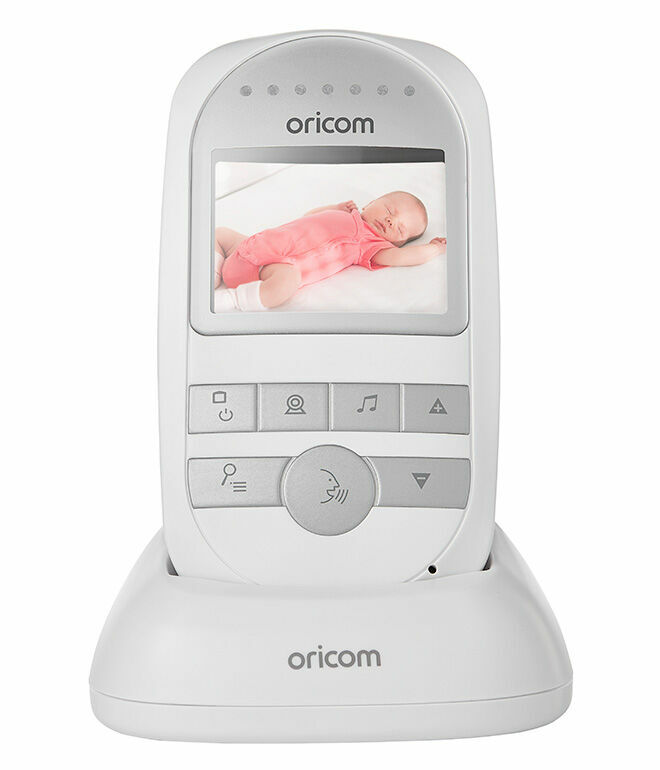 With the Oricom Secure720 Digital Video Baby Monitor, you get the best of both worlds. 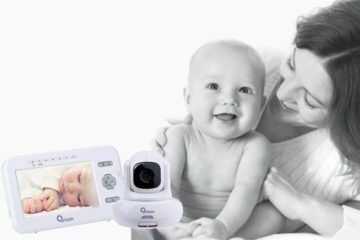 Not only does it let you keep watch over your sleeping babe from a safe distance, it even helps soothe them to sleep. Enjoy the power of the Oricom Secure720 before you’ve even left the room. With three lullabies and a white noise function, including womb sounds and vacuum cleaner, all built in, it helps you soothe your bub to sleep. So if you’re keen to try to help your munchkin self-settle, pick their favourite tune or soothing sound and sneak out. You can even remotely control the volume when you leave once you’re sure your sleepy bear is dozing. 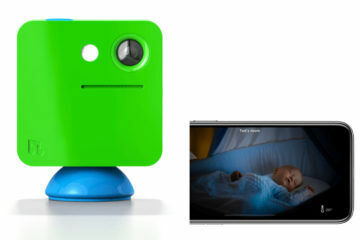 With a 2.4” colour LCD display on the portable parent unit, you can keep a watchful eye on bub from every room in the house. If you want a better view, simply remotely adjust the digital pan-tilt and zoom of the camera. 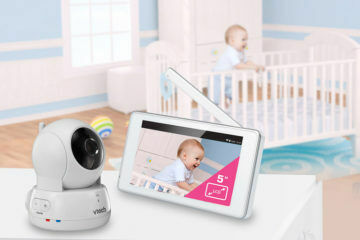 And when the sun sets, there’s no need for extra lighting – the baby-friendly night vision means you won’t miss a thing. 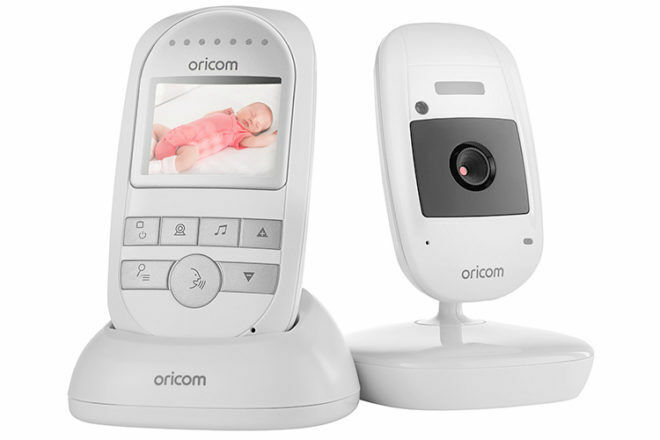 The Oricom Secure720 also comes with all the added extras you need to keep your bug sleeping soundly all night long. If they don’t like total darkness, turn on the included nightlight to give the room a soft, gentle glow. If your poppet does stir but you want to give them a chance to settle before going in, the handy parent talkback function lets you offer them some soothing words from wherever you are. And check the room temperature monitor from the parent unit and be sure that your baby bear’s room is not too hot and not too cold – just right! 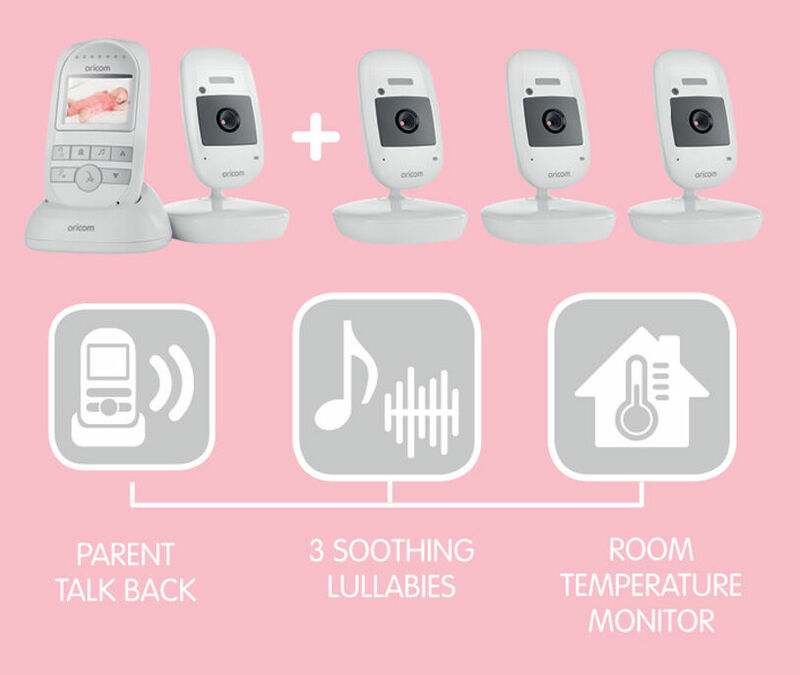 If you’re worried about missing your bub’s cry, you can also set the parent unit to a vibrating alert. The vibration will activate whenever there’s a loud noise from the room – especially handy if you’ve turned the volume down or you’re in a noisy room. It will also vibrate when there’s a temperature alert, so you don’t have to keep watch on the temperature. 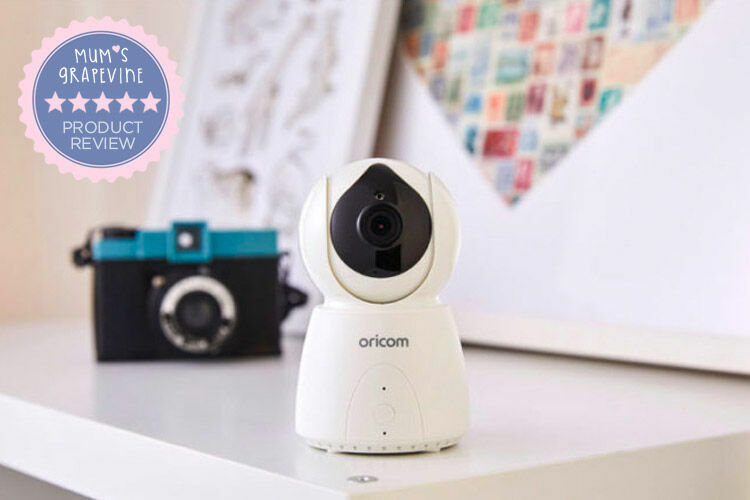 And if you switch your bub between rooms for sleeps or have more than one tot to watch, the Oricom Secure720 can be used with up to four cameras (each sold separately). 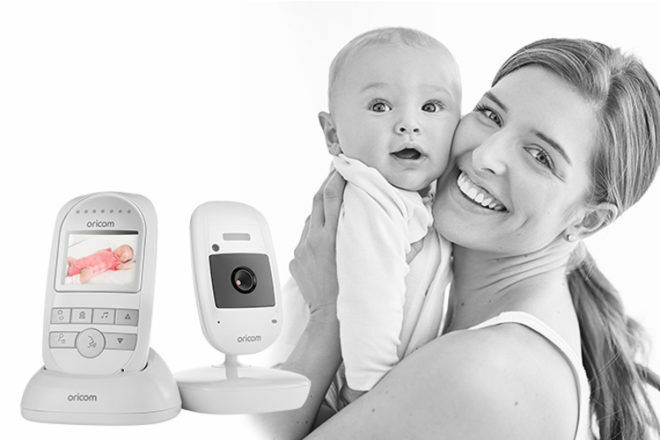 The Oricom Secure720 Digital Video Baby Monitor ($229) is available exclusively from Baby Bunting.